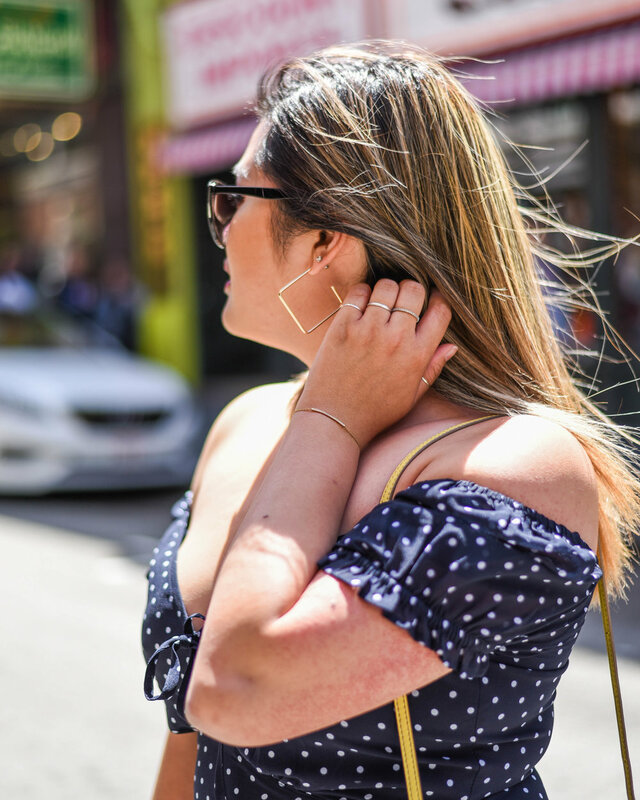 Polkadots started to slowing creep back into my wardrobe and I'm in love with this sweetheart dress from Asos! This cut is very flattering and keeps me cool since the material is so breezy! I also discovered the cutest pair of square earrings at target from their collection called A New Day. Its such a nice twist from a classic pair of hoops. 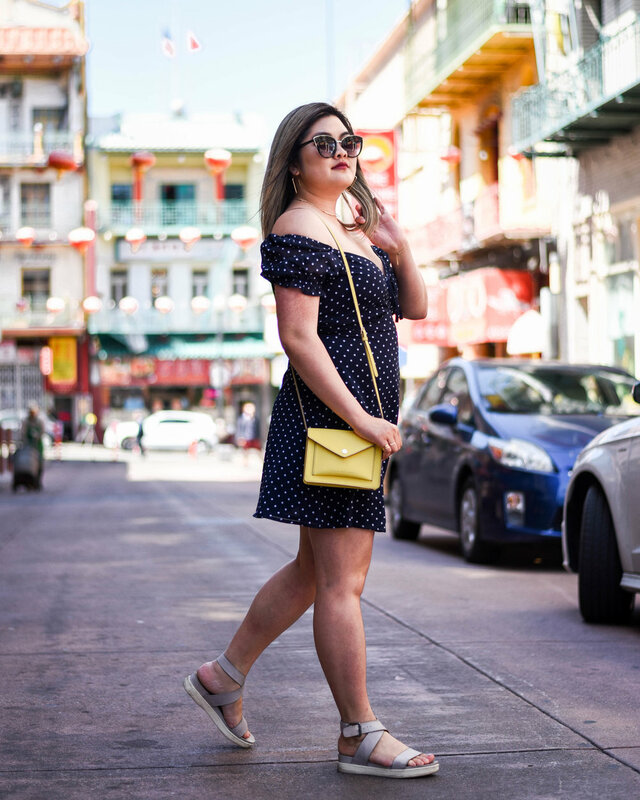 I love adding a pop of color while wearing polkadots since the navy blue print is a nice contrast against the bright yellow.